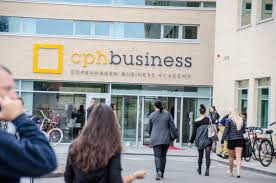 A few weeks ago, I was invited by Cphbusiness School in Copenhagen to give two workshops about the role of gossip in Organizations. The students there are between 32 and 53 years old, and all have jobs while pursuing their studies on the side: for example, one works for a tourist organization, another for the Danish Tax Office, one for Imerco (a company selling kitchen and household goods), and another for a “major telephone company in Copenhagen.” They all seemed very keen to discuss how people gossip in their organisation. Several students quickly point out that ‘Jantelov’ in Denmark plays a huge role in how and why people gossip. People who stick out or brag about their achievements will quickly become the object of gossip. 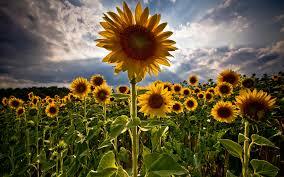 Jantelov, I find out, means “The Law of Jante,” and was coined in 1933 by Danish author Aksel Sandemose. 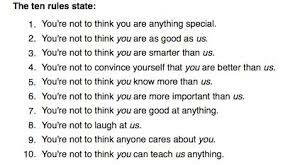 In his book ‘En Flytning Krysser Sitt Spor’ (A fugitive crosses his tracks), he lists 10 rules that dictate how Scandinavians should think about one another. A student says that Jantelov not only affects who you will gossip about, but also how you will be perceived as a gossiper… If you gossip to put yourself forward, or for competitive reasons, you will certainly be judged poorly by your listener. “People gossip when somebody is working hard to be promoted and is doing it in a maybe ‘too’ self-confident way,” one student writes. To me, this sounds a bit like the ‘doe normaal’ culture in The Netherlands. (According to Hofstede, the Danes and the Dutch are actually quite similar). Volgend bericht Wat we kunnen leren van het EK 1996?